One will wonder what humans have in common with a banana. We are both living things, but we never look alike. However, all living things are made up of the same basic materials. Just like houses are built with small units of bricks, all living things are made cells. Each of these cells contains a set of "blueprints" that determine the characteristics of the organism. The hereditary material of all multi-cellular organisms just like banana is the double helix of deoxyribonucleic acid (DNA), that contains all of our genes. These genes are necessary for replication of DNA, cell division and control of the cell cycle. They are shared between many plants and animals. The discovery and application of this knowledge has led to the use of DNA testing to determine many things like solving paternity disputes, finding one’s ancestry and even to fight crime. The human genome was first sequenced in 2003 and it has revealed that we share the same DNA with many other living things. This includes our favorite yellow peeled fruit, banana. It has long been known that humans are closely related to chimpanzees and other primates. Humans also share about half of our genetic material with a banana. All living things have a genome that determines how to grow, develop and operate. These genomes are made up of DNA that instructs an organism how to make protein. Proteins determine organism physical characteristics, like the eye and hair color. They also form important substances for life, like hormones, enzymes, and antibodies. Researchers sequence the genome of different organisms, including frogs, yeast. They discovered that all living things have some similarities in their instruction manuals. This occurred because we all evolved from a single-celled organism. This organism lived three or four billion years ago. It is known as the last universal common ancestor (LUCA). Studying genes that are common to other organisms helps us to understand better what makes us unique as human. The nucleus houses the DNA, which contains a code for how to put together the features that make us unique. Our parents passed down our DNA to us. Characteristics like eye color are entirely determined by our DNA. However, some are determined both by your environment and DNA. Banana plants have genes and DNA just like you have in your cells. Like humans too, their DNA determines their traits. Our naked eyes can not see a single cell nor the DNA inside it. However, with the aid of the microscope, we can view millions of DNA. Know that there is just one type of DNA. All living organisms including animals and plants (banana) share the same DNA. It is basically a code of just four letters that codes for the same amino acids from which made up all proteins. Although, there is a complication that some amino acids may have more than one code. There are many examples where a change of codes as in mutation can result in the altered amino acid. However, there are some of our DNA that we do not share with our relatives. We don't share our DNA fingerprint. It is used to identify one individual from another. 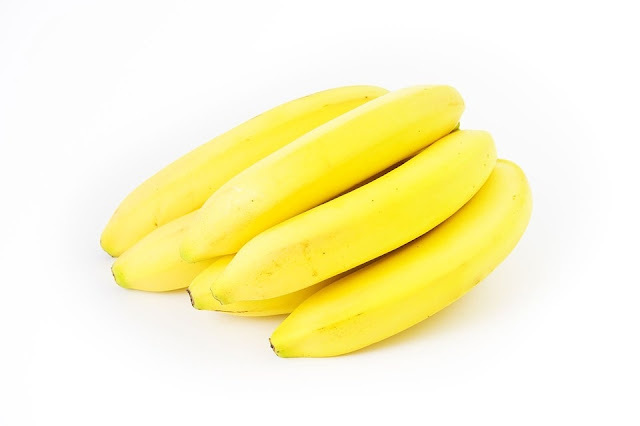 As we share about 60% of our genes with a banana, there are interesting studies of proteins which all organisms share. An example is Cytochrome C that is involved in respiration. There are extensive studies on the different number of various amino acids shared between the man and other organisms. This can give a lot of information difference between man and other species. There are differences and similarities in the genomes of banana and humans. Plants (Banana) are often polyploid and they tend to have larger genomes. Ploidy means the basic number of unique chromosomes in the genome. Each organism has a characteristic number of chromosomes. There is just one type of DNA and all living organisms including plants (banana) share the same DNA. Guest article by Dr. Charles-Davies, a medical doctor that likes to share fun health information.